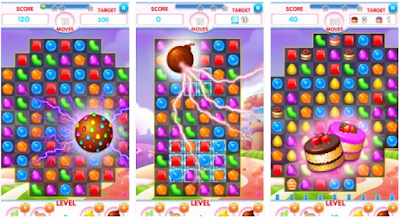 Puzzle games and especially match 3 puzzlers have been in the limelight of mobile game top grossing lists for as long these lists have existed – and it seems that they are not going anywhere. This, of course, might not surprise many of us: match 3 games are easy to learn, simple to play and don’t take much of your time to get that sweet, addictive feeling of accomplishment. For that purpose we are offering you Candy Land puzzle, that is a fresh and inventive game, that simply take a good thing and make it better. This game is created by Lintekc group. 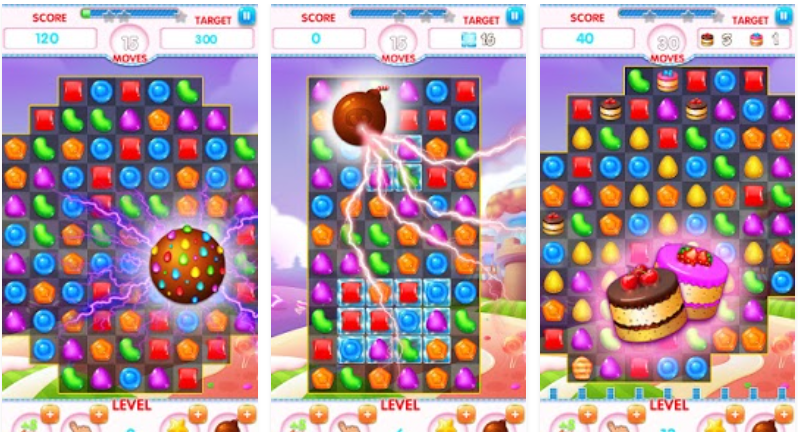 It offers an exciting puzzle game called Candy Land that you can play on your android device, by downloading it for free. Easy to pick up, addictive and fun to play, and when you match up the three tiles, it will result with cool blasting effects. By moving the cute and yummy candies to match up three tiles, you will advance along the candy track. We are sure, you will easily fall in love with this game and spend hours and hours matching three tiles in Candy Land Puzzle.